After we arrived in Berlin, we quickly checked into our hotel, threw down our stuff and headed back out to look for a restaurant and get our bearings. We found a lovely little local cafe had a great dinner and then started strolling the streets. Maybe strolling isn't the right word? Hopscotching is more like it. There were fireworks everywhere. Not official fireworks mind you, but "amateur" (read dangerous) fireworks - but oh was it fun to watch. If you can believe it we were able to sit outside on the sidewalk, yes it was warm enough with the blanket the bar sweetly provided, and have a glass of wine and watch. On every street corner, on the grassy median between the road, in the middle of the sidewalk, there were fireworks. And it wasn't even New Years yet. After a while, we headed back to the hotel to grab a glass of champagne before the clock struck midnight. At midnight, the city went berserk. If we thought there were fireworks were fun before they were nothing compared to what happened at midnight. There was no area of visible sky that wasn't alight with fireworks - and they went on... and on. We went to bed around 2:00 am, and they were still going. 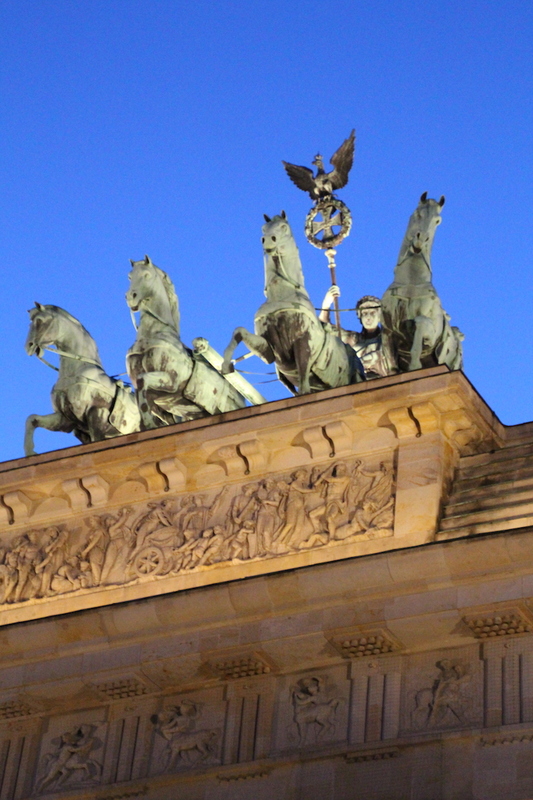 Berlin was full of magical surprises, but mostly it was full of history, lots of history. We spent hours at museums including the Jewish Memorial Museum, the Checkpoint Charlie Museum (terrible, never seen a worse mish-mash of a mess - they need to learn how to tell a story), the Topography of Terror Museum and the History of Berlin. We spent a day taking a day trip out to Saschenhausen Concentration Camp (the first Nazi concentration camp built). We didn't just do history though. We shopped in the massive department store known as Ka De Wa (picking up my mother-in-laws favorite treat of marzipan as a gift), wandered the streets of the historic districts, took a city bus tour, went to see a fantastic performance of Tosca at the Deutsche Opera House, took in another cabaret type circus performance at The Chamaleon Theatre and more. We had eight days in Berlin, but it wasn't nearly enough time. We are eager to go back so that I can explore Museum Island (I didn't get my art fix) and eat many more breakfasts in the Schwarze Cafe. The morning after. The streets of Berlin were covered in piles just like this one the morning after New Year's Eve. I wonder how long it took them to clean up? 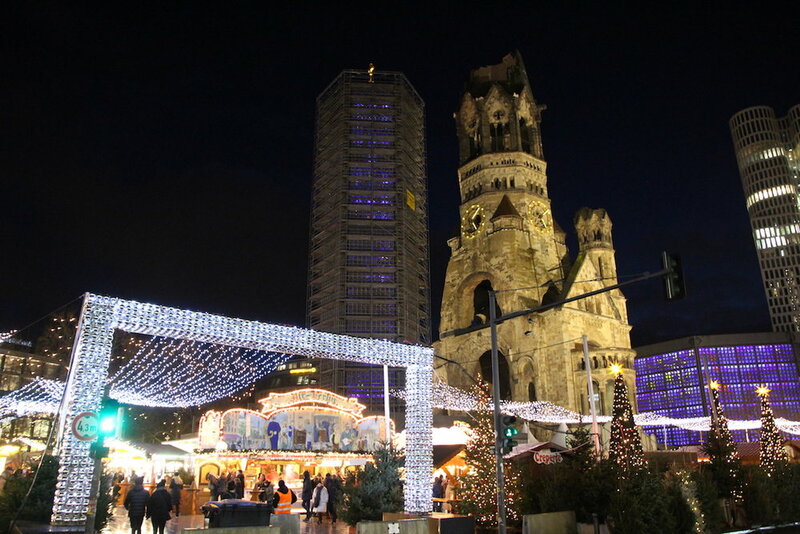 New Year's Day in Berlin. More victims of the New Year celebration. 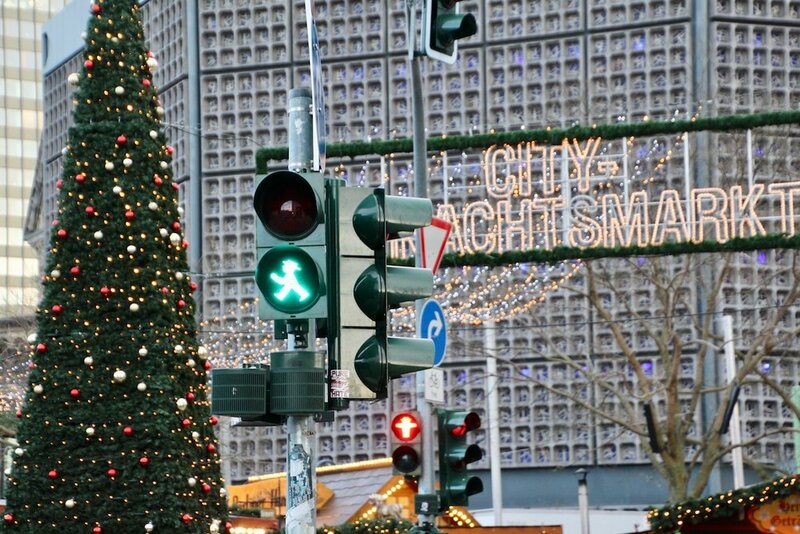 The famous Berlin Christmas market. I bought chocolate covered bananas and freshly made potato chips here. Mark bought Gluwhein - lots of it. And here he is enjoying one of his many Gluwheins (horrible stuff). Freezing outside the Brandenburg Gate. Just after this photo was taken we found a yummy Thai Vegan restaurant for lunch so that made me happy. The Brandenburg Gate. What I found most interesting about this beautiful memorial is that during the time of the wall the gate was stranded in no-man's land. The famous green man walking. I must admit he's very cute. The stark and imposing Jewish Memorial. To me, walking through it it symbolized the desperation and isolation of the groups targeted by the Nazis. Memorials to those who lost their lives trying to escape East Berlin across, under, or through the Berlin Wall. Lisa-Marie Cabrelli is the founder of several location independent businesses. She has spent the last 5 years living all over the world while running her businesses from a laptop. Last year she sold her primary eCommerce business and "retired" at 45. This blog follows her on her travel adventures while she figures out what she wants to be when she grows up. She's currently a digital nomad, woman entrepreneur, life coach, business coach and writer... but what's next?